We all want more bang out of our buck. The following is a list of 5 ways you can increase the miles per gallon of your vehicle, thereby saving you money at the pump. Tighten the gas cap. About 17 percent of the vehicles on the roads have gas caps that are either damaged, loose or are missing altogether, causing 147 million gallons of gas to vaporize every year. 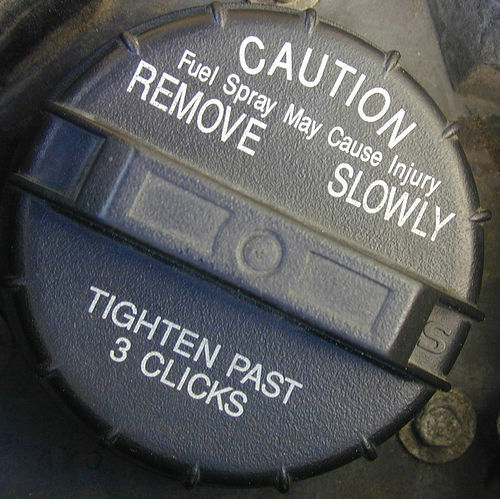 Protect those valuable gallons by turning your cap until you hear it click three times. Keep tires at proper inflation levels. Underinflated tires not only wear out more quickly, but also create more resistance, increasing fuel consumption. Find the proper tire pressure measurement for your car in the Owner’s Manual, on the inside edge of the driver’s side door, attached to the glove box door, inside the trunk’s lid or inside the door to the gas tank. Check spark plugs. A vital part of an engine’s combustion process, spark plugs fail over time due to a number of factors. When you inspect and replace spark plugs as needed, you will increase your car’s fuel economy, by as much a few miles per gallon! Keep air filters clean. Air is drawn into the engine as a critical part of the combustion process. The engine air filter captures airborne contaminants such as dirt, dust and even bugs before they can enter the engine. A dirty, clogged engine air filter can contribute to poor overall engine performance. 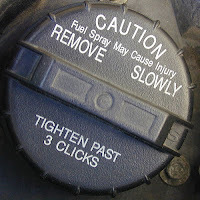 Get regular oil changes with motor oil that is right for your car. Use the type of oil that is recommended by your car’s manufacturer, and you will increase your gas mileage by up to two percent. Need help? Come by your local Jiffy Lube of Indiana today and receive the help you need from a qualified service specialist. Jiffy Lube performs several car maintenance services that help increase your MPG, including the Jiffy Lube Signature Service Oil Change.